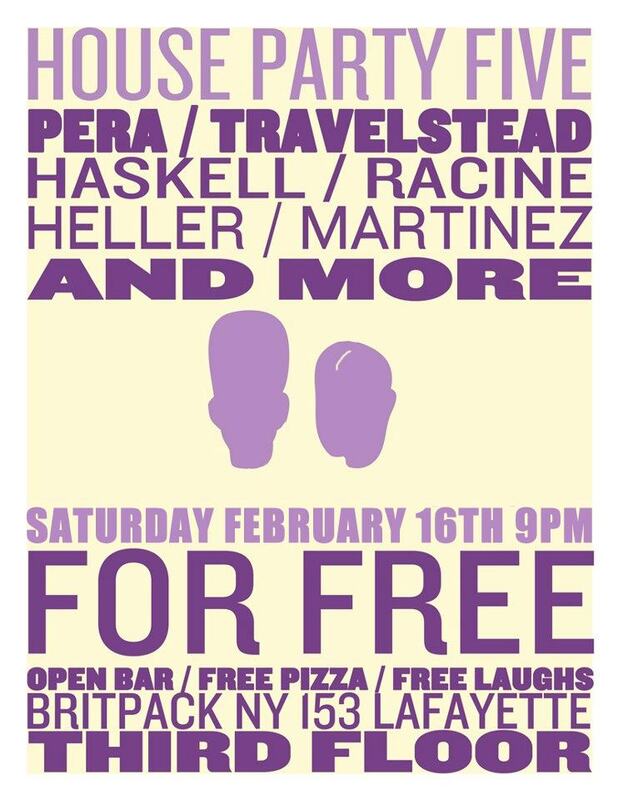 Upcoming Show: February’s House Party 5! After being rescheduled due to weather, House Party 5 is back!!! We gotz pizza & drinks and comedy! All at a weird loft space in SoHo! ← Upcoming Show: The Super Secret Show!